Yesterday passed in a fog. Outside and inside. When I left the house in the morning, the ocean fog blanketed the world in its grey mantle, softening shapes and sounds. I couldn’t see much more than a couple of hundred feet down the road. It matched the internal fog I fight through every day. Everything is grayed out, colors, tastes, experiences, and like yesterday morning, I can’t see very far down the road. I have no idea where this road leads, this road of sorrow we now travel; it too is clouded by fog. I can’t imagine what our lives will be like in six months, six years, without Jake. We had so many hopes and dreams; there were so many possibilities for him. All dashed to pieces. As someone I know observed recently, we live through our children. These hopes and dreams were for him, but also for us. We wanted him to succeed, to use his tremendous gifts to accomplish something great, to raise a family, pass his gifts on to his children, and them to their children. Carrying on the continuum of life, family, tradition. These were our hopes, our dreams and our possibilities. Also now dashed, and that is a huge source of our tremendous pain and longing. As parents we allow so much of ourselves to flow into our kids. We strive to teach them how to behave properly, the difference between right and wrong, how to take care of themselves, how to be in this world. We provide them with opportunities to learn, to grow, to experience all the wonderful things life has to offer. The assumption is that they will return our investment in them by becoming good people, by doing good things, being kind, doing “the right thing” even when that thing is not the easy thing to do. We want them to grow up, get married, have children of their own in which they will, in turn, invest themselves and by extension, little bits of us. We want them to have rich, full, meaningful lives. We want them to be happy. Their accomplishments, their satisfaction, their happiness flow back into us as time goes on. That is how we get repaid. This is how it is meant to work. Now our investment has been stolen, and we will never get it back. So much of us went with Jake; we carry so much of him inside of us. But we will never see his life come to fruition, will never see the full return on that investment. We can only imagine how it could have been. How much fun we would have had with his kids, spoiling them as grandparents are supposed to. Family dinners, trips, sharing holidays, all the good times we should have had, all the good times we won’t have. We are left now with what we do have. The finite memories of the time we did share with him, but it isn’t enough. There was supposed to be so much more. I want it all, and can’t have it. Like a petulant child, I cry, “I want it. Give it to me. It isn’t fair”, but no matter how much I rant and rave, thrash around on the floor in a tantrum of grief, it will never happen. I just can’t have it. Eventually the rage, frustration, sorrow and agony subside, like any tantrum, and I am left with the feeling of helplessness. This emptiness. Exhausted by my tears. But all these emotions are still there, a constant undercurrent, making everything flat and grey and difficult to see. So we meander through the fog. The landscape shrouded in mist. Not knowing where we are going, but still plodding on toward that unknown destination. It is all we can do. This entry was posted in Coping, Daily Ramblings, Dreams, Grief, Jake's Spirit, Memory, Observations, Sadness, Tragedy and tagged deathofachild, Grief, grievingparents, hopeforthefuture, lossofachild, Sorrow, suddendeathofachild. Bookmark the permalink. perhaps the fog is also the mantle of love that surrounds you. You’ve captured the dilemma perfectly. The parent-child relationship is unique and an early ending is a perversion of nature and culture. We are heartbroken and bereft without the children who have given meaning to our lives. 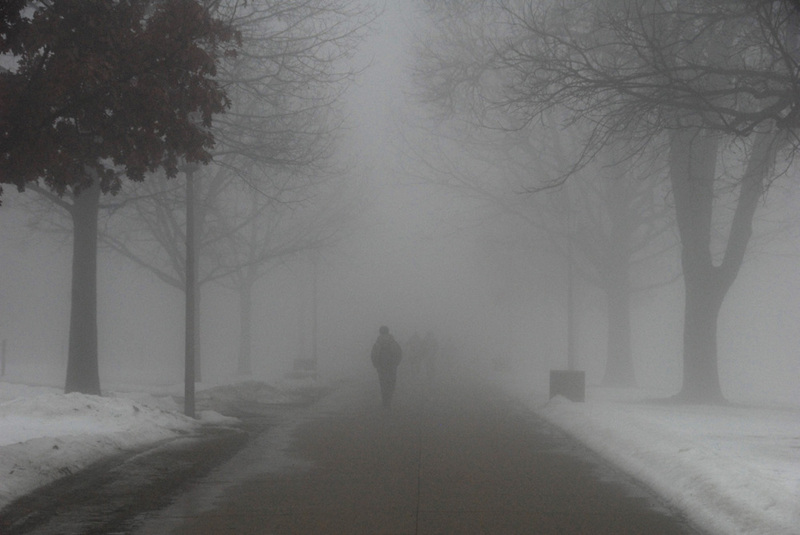 The Fog of Grief – written by a friend of mine several years ago, I wanted to share it. Thank you, Ellen. A perfect description.